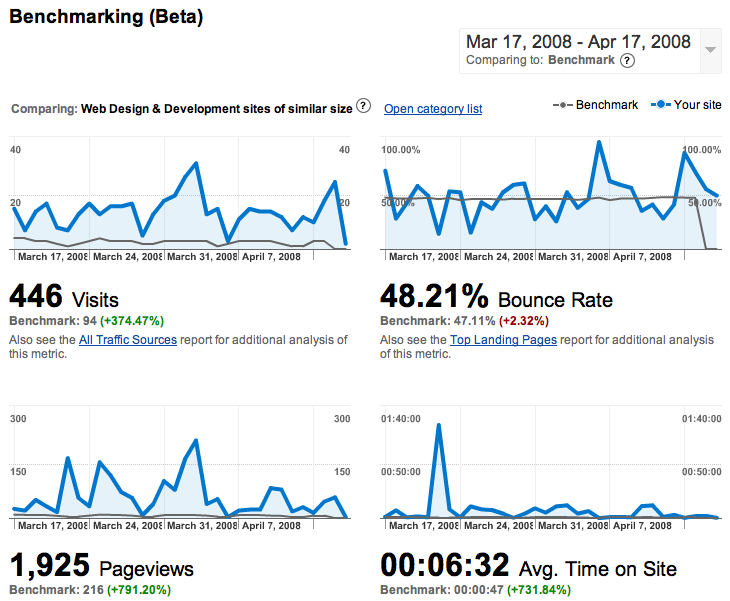 Google Analytics released a beta version of something they call benchmarking… it’s good. I hear all the time.. my site got x number of hits, and i say to myself..”what kind of hits” because what most people don’t understand is that a lot of internet traffic is automated (machines) and that only a unique visit or return visit with any substantial amount of time .. over a couple minutes, is really a valuable visitor… and everything else, i would consider spam. What benchmarking allows you to see with benchmarking is how your site stacks up traffic wise to similar sites. I imagine that level headed google style data is at play here.. it would only do them an injustice if the data was impartial in any way. 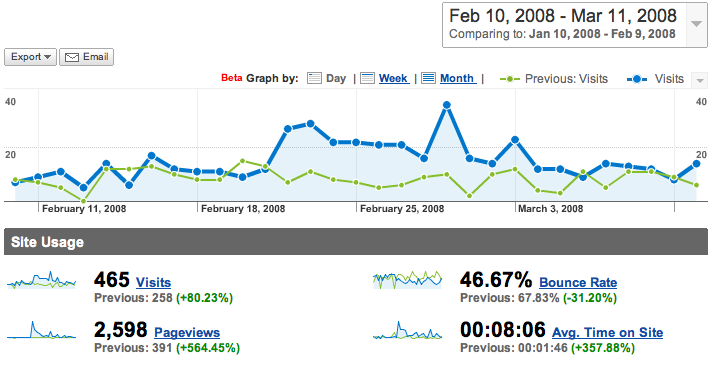 Analytics is also now providing a way for you to compare timelines on a single graph.. which as they put it “may put you in a good position to ask for a raise”…but if you really want to know what’s going on with your servers… get a host with a license for urchin that will give you a much more detailed analysis. 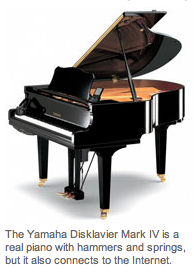 And if you want a grand piano that plays itself on real parts with Linux built in….